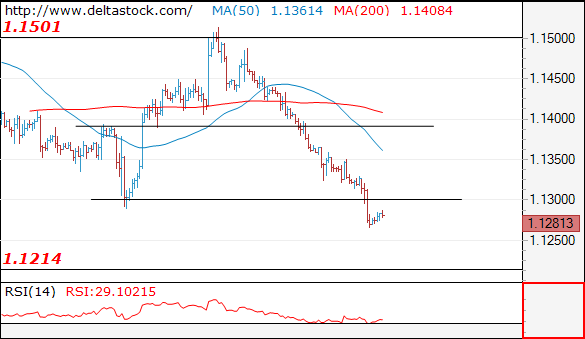 The break below 1.1290 clearly shows a negative bias, for a dip to 1.1214 low. Initial intraday resistance is projected at 1.1300. 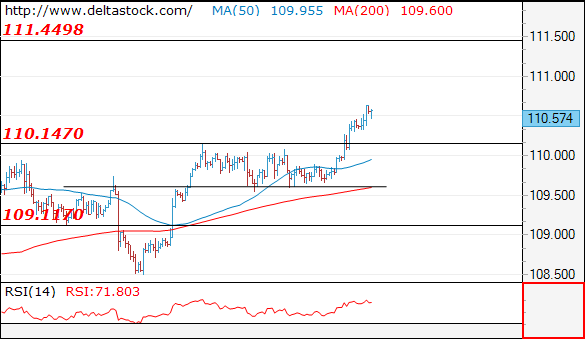 The pair broke through 110.20 hurdle and the outlook remains positive, for a rise towards 111.45 area. Initial support lies at 110.20. The bias is bearish, for a break through 1.2800, towards 1.2700 area. 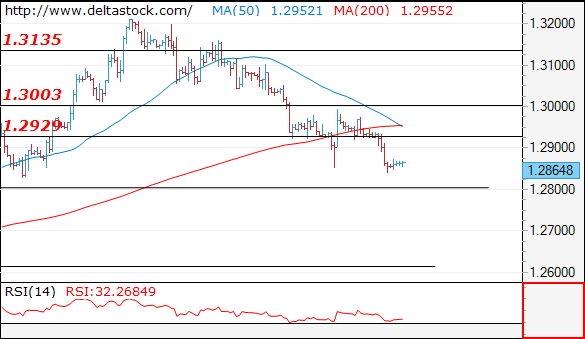 Initial resistance lies at 1.2890.